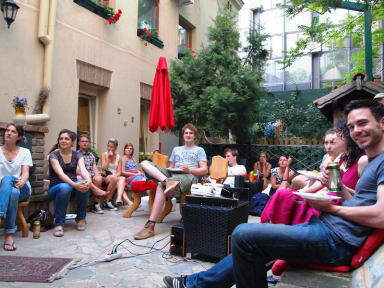 Hedonist Hostel i Beograd, Serbia: Bestill nå! Easily the best hostel I have stayed at. 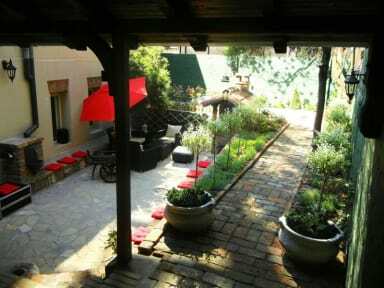 Great way to meet fellow travellers, amazing atmosphere with a nice common area to chill at. The staff were incredibly helpful and friendly. Would stay again! Easily one of the best hostels I've stayed at. The staff is amazing and the atmosphere here is great. Will stay here again when in Belgrade next time. Extremely polite and service minded staff, particularly the male receptionist. They were very helpful and also carried my heavy luggage for me, showed me my room and all facilities. Unfortunately, the wifi was useless during my few days stay. They tried their best restarting the router(s) multiple times,and they waited a bit too long, before they called the service man fixing the issue. Nowadays we are very dependant on internet working, the problem should have been resolved within a few hours.